Click on the date to view the timetable for your selected day. Please note that the various colour codes represent different levels of service. Times shown in RED indicate connecting trains. Passengers can transfer from one train to another by crossing the platform - providing the option of a shorter or longer journey, as applicable. 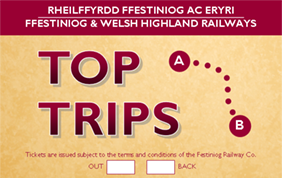 If you want to get off a train at one of our Request Stops - please tell the Guard before you get on the train, to ensure you are seated in the right carriage. If you want to get on a train at one of our Request Stops - please give a clear signal to the engine driver as the train comes into sight (hold out your arm, just like catching a bus). In the event of heavy snowfall or icy conditions our trains may not be able to run exactly as timetabled. 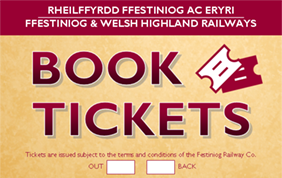 please check with the booking office (01766 516024) before travelling. Our trains are all steam hauled, however diesel engines might need to be used at short notice if the rostered steam locomotive is unavailable. 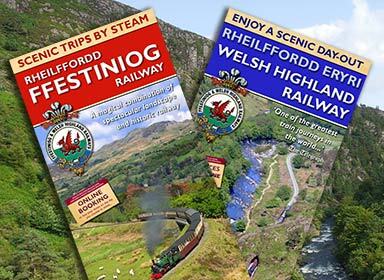 Every effort will be made to run to timetable but the Ffestiniog Railway does not guarantee advertised connections or the advertised traction in the event of breakdown or any other obstruction of service. You can download printable copies of our leaflets and posters by visiting our Publications page.